Welcome to our website. Below are a list of contributors to the site. Click on the link to see our Statement of Faith and the article that outlines what the Gospel is. 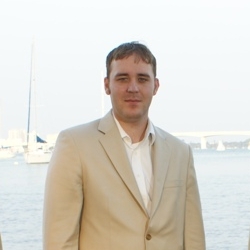 My name is Jason Mullett and I live in Lakewood Ranch (Sarasota Area), FL. I am married to a wonderful woman, Viviana, and we have two sons Jesse and Jordan. We attend Bethel Community Church, a Reformed Baptist Church, in Sarasota where we are privileged to sit under the teaching of our Elder Russ Atmore. My job on earth is to spread the Gospel of Jesus Christ. To support this task I work as a Network and Security Manager for a large food production company. I have created this website as a tool for evangelism and for spreading the Gospel to a lost and spiritually dead world. Logical Belief Ministries is the name of this outreach as believing, and putting our faith and trust in Jesus Christ is the most rational and logical thing we as image bearers of God could do. We come to faith and repentance by God’s Grace alone. We all know that the God of the Bible exists because if there were no Biblical God then we could not know anything at all. This site uses and defends this thesis as the foundation of all rationality. May God bless you as you seek Him. You can email Jason at jason@logicalbelief.org.